“We are very satisfied with the Liberty Blue system. 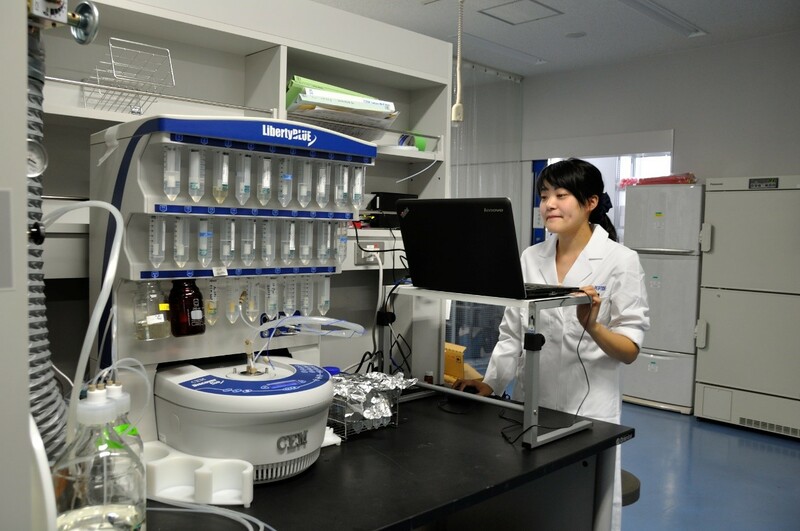 The system is one of the best peptide synthesizers available today for research and medicinal chemists… HE-SPPS using Liberty Blue features overwhelming speed"
CEM recently had the opportunity to interview Dr. Hajime Hibino, a Peptide Scientist at the Peptide Institute in Osaka, Japan. 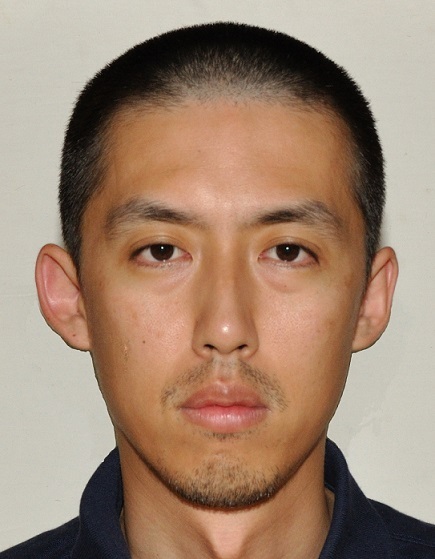 Dr. Hibino is active in improving methodology for peptide synthesis and has published many important publications detailing these efforts. Some of Dr. Hibino’s recent work includes the development of the methoxybenzyloxymethyl (MBom) protecting group for π-nitrogen on the histidine side chain1,2. Protection of the π-nitrogen offers protection against epimerization during coupling of histidine at both room temperature and elevated temperature. However, while previous attempts at protecting the π-nitrogen proved difficult, Dr. Hibino developed a straightforward synthesis route using the MBom protecting group. This significant advancement has led to the commercial availability of Fmoc-His(MBom)-OH as an improved derivative for histidine introduction during peptide synthesis. More recently, Dr. Hibino has been active in the development of improved side chain protecting groups for cysteine3,4. Question: Could you provide a background of yourself and your current group? Dr. Hibino: Peptide Institute Inc., where I work as a peptide chemist, is a chemical manufacturing company specialized in the production of peptides, carbohydrates and related compounds. We are the first Japanese venture company in this field and have been supported by a variety of scientists all over the world. Recently, a pharmaceutical GMP-compliant facility was completed to offer contract manufacturing of API or intermediates for not only the basic research but also commercial production. For further information, please visit our website, www.peptide.co.jp. Dr. Hibino: Of course, our priority is customer satisfaction. To achieve this goal, we always undertake a difficult task: providing unsurpassed high-quality products at reasonable competitive prices. And we always believe that innovation in peptide chemistry can achieve this. 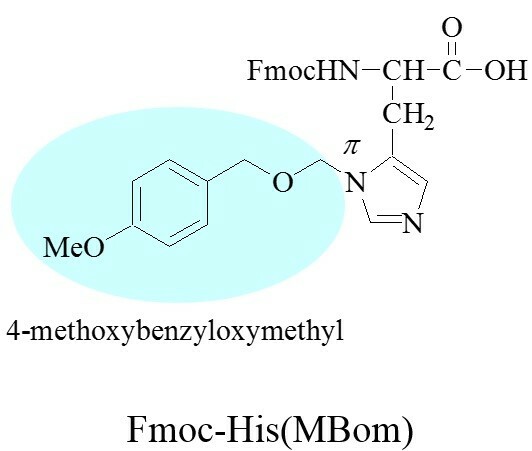 For example, we developed an amino acid derivative “Fmoc-His(MBom)” to decrease racemization, a fatal problem during the chemical synthesis of peptides. As racemized peptides generally have similar characteristics to that of the target substance, they are difficult to be separated by conventional chromatography techniques. If the product is contaminated with racemized peptides, it may lose inherent activities or, in the worst case, demonstrate a different activity. Meanwhile, it had been recognized that histidine is highly prone to racemization during the coupling reaction. Therefore, we should do our best to avoid production of racemized peptides during SPPS. Currently, the use of the Fmoc-His(MBom) is the only option to suppress the racemization in Fmoc SPPS. We originally developed this derivative to be applied to the synthesis of API’s, but we have recently been receiving compliments from users who are using microwave-assisted solid phase synthesizer. Question: What impact does improving SPPS have for your research? Dr. Hibino: Everyday, we are trying to improve the yield and purity of crude peptides obtained after SPPS. Improved quality of crude peptides greatly mitigates the trouble of the following purification process, and it is directly linked to customers’ satisfaction. Dr. Hibino: Unfortunately, peptide synthesis requires many steps of trial -and-error. HE-SPPS using Liberty Blue features overwhelming speed to complete a PDCA, Plan Do Check Action, cycle in peptide synthesis. For instance, long peptides, which were synthesized by the conventional SPPS over several days, can be synthesized within several hours with Liberty Blue. Thus, the result will be obtained under 1/10 of the original time. This enables the overwhelming rapid PCDA cycle to improve crude peptide quality, and consequently, we can reach the desired results much faster than using the conventional chemistry. Dr. Hibino: Yes. We are very satisfied with the Liberty Blue system. The system is one of the best peptide synthesizers available today for research and medicinal chemists. Microwave assisted SPPS is considered as the third generation of SPPS. The first and second generation synthesis methods are Boc-SPPS and Fmoc-SPPS, respectively; the third generation is the microwave assisted SPPS which features overwhelming speed. Since researchers of today are in a high-speed society, once they experience the peptide synthesis with an overwhelming speed, like Amazon.com, no one can stop it. A part of the current microwave-assisted SPPS certainly remains unpolished especially in the fields of non-typical amino acid condensation. However, as a variety of new technologies was developed when Boc method was switched to Fmoc method, optimized synthetic methods for the microwave-assisted SPPS represented by Liberty Blue will be developed in similar manner. And, such methods will certainly become the standard among chemists who are synthesizing peptides.